Simple play ideas, learning activities, kids crafts and party ideas, plus acts of kindness for kids! Are you looking for the best boredom buster ever? You’ve come to the right place. Admittedly, we do have an enormous collection of creative busy bags for kids. There is something for everyone and every season. But maybe one of the following applies to you. A. You can never have enough busy bags to keep your kids…well…. busy. 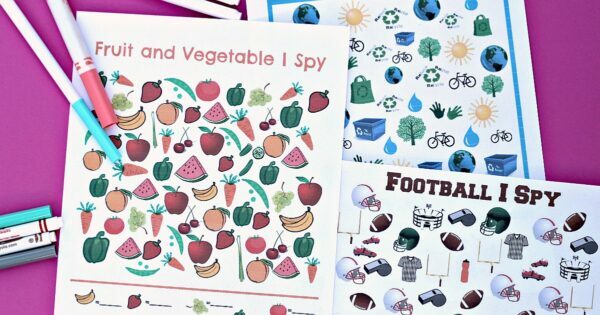 A busy bag of I SPY PRINTABLES. Markers or crayons. These chubby markers are fantastic for little hands. Printouts of as many I SPYs from the I SPY book as you can stand. 1. After downloading the pdf, print it all out. All if it. Take half of the printables and stick them in your car. Stick the other half in your purse. Voilá! 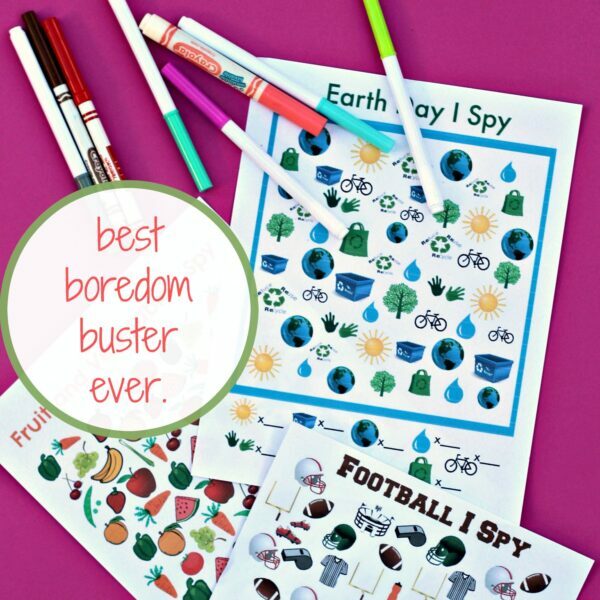 Never be without a boredom buster again. 3. 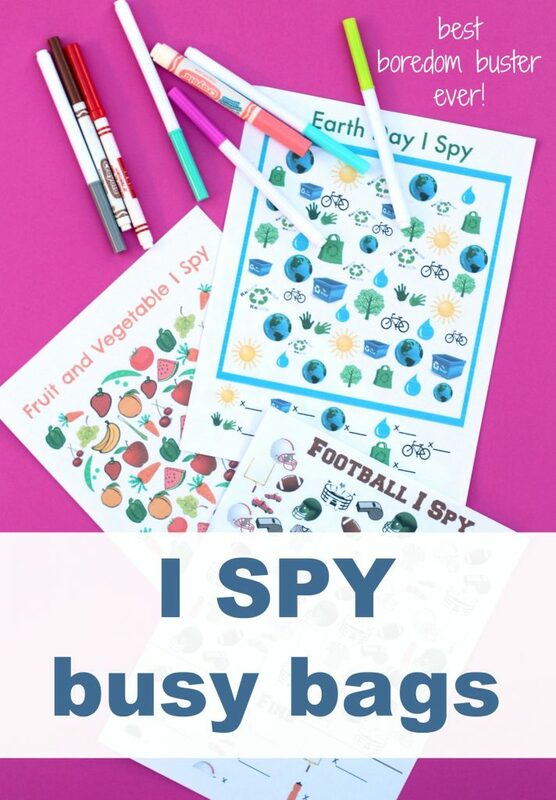 Make a themed busy bags ahead of time and add the appropriately themed I SPY to the bag! Add the dino I SPY to the dinosaur matching busy bag; add the fall or Halloween I SPY to the pumpkin number matching busy bag. You get the idea. Need more convincing? Here are 26 ways to do I SPY! No need to wait in boredom any longer. All set! Have a great day crushing boredom, one busy bag at a time. Megan is the creator of Coffee Cups and Crayons, a blog full of simple fun and learning. She believes that kids’ activities don’t have to be complicated to be fun and that learning is better with play. So you can have fun and still have time to finish your coffee! Join over 10,000 parents who use our newsletter to connect with their kids through fun activities even when they're short on time. Send me the easy & awesome newsletter!